2009 - 2016 : Ph.D., Department of Informatics and Telecommunications, University of Athens, Greece. 2009 - 2011 : M.Sc. in Computer Science, Department of Informatics, Athens University of Economics and Business, Greece. 2004 - 2009 : Degree in Informatics and Telecommunications, Department of Informatics and Telecommunications, University of Athens, Greece. 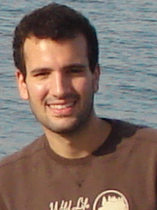 S. Katsigiannis, "Image Analysis and Processing Using the Contourlet Transform and Application in Biomedical Data" (Graduate Thesis), in the 2009 annual selection of B.Sc. and M.Sc. theses of the Department of Informatics and Telecommunications, National and Kapodistrian University of Athens.